ACIAC Director Professor Labao Wang spoke at the opening of the 2018 Homestead Art Exhibition at the Parliament House of NSW on 5 February, 2018. 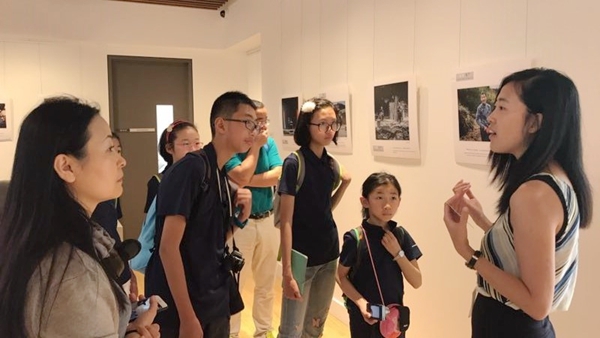 The Exhibition is hosted by the Asia Pacific United Education Centre and Hyu Min Creative Arts Studio and it has brought together artworks by a group of Chinese artists of varying age levels. There are highly sophisticated works by such celebrated artists as Sang Maolin and Luo Erqi from the Fine Arts College of Shanghai University and there are also works by very young artists from Hyu Min’s Creative Arts Studio. Most of the artworks at the exhibition are about the environment and human habitat, and communicate a genuine concern about environmental damage that threatens human livelihood. 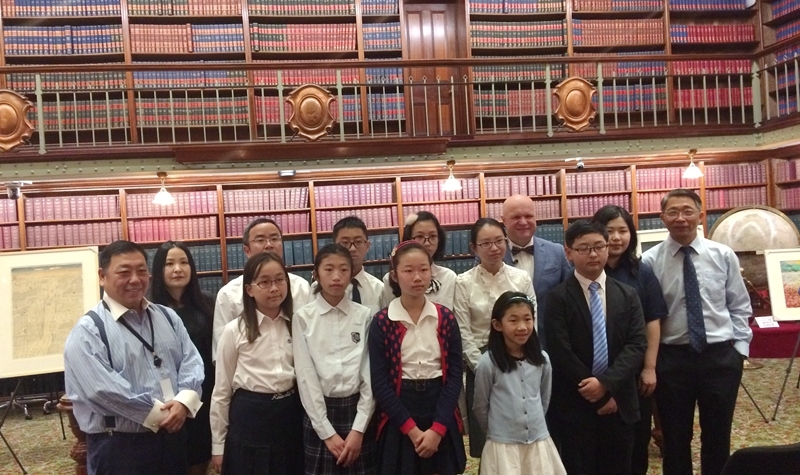 Professor Wang welcomed the artists, particularly the young artists from Shanghai. He commended the artists at the exhibition for their determination reach out. Encouraging them to look outside their country for ideas for change, he spoke of the dynamic artistic scene of Sydney and of the artists’ instinctive embrace of openness and their impulse towards defying artificial boundaries. He believed that, because artists often look outside their own countries for inspiration, artists of one country would inevitably want to work together with artists of another country, and that such an artistic impulse to break barriers and to collaborate with other peoples is very helpful to the development of transcultural relationships. He introduced Western Sydney University’s Australia-China Institute for Arts and Culture and explained its mission. And he fully endorsed the commitment of the Asia Pacific United Education Centre and Hyu Min’s Creative Arts Studio to the same kind of transcultural exchange and communication between Australian and China. Also at the opening of the exhibition were ACIAC’s key researcher and artist Tianli Zu and NSW parliamentarian Ernest Wang. Some of the young artists were invited to visit ACIAC on the next day.